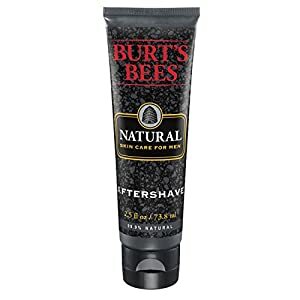 This trusted skin care solution is specially formulated to reduce ingrown hairs after shaving or waxing, as well as prevent razor bumps and razor burn for smooth, irritation-free skin. 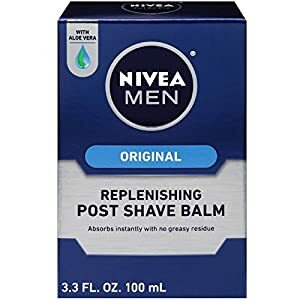 Men can use it on their face, neck and back of the head while women find it useful on legs, bikini line, underarms and anywhere else hair removal causes razor bumps. Now you have the benefits of using Tend Skin Liquid with the convenience of a roll-on that minimizes product waste! Remove shrink film. Product separates into two pieces, a reservoir bottle with a cap and a sleeve which has the roll-on ball and a cap over the ball. 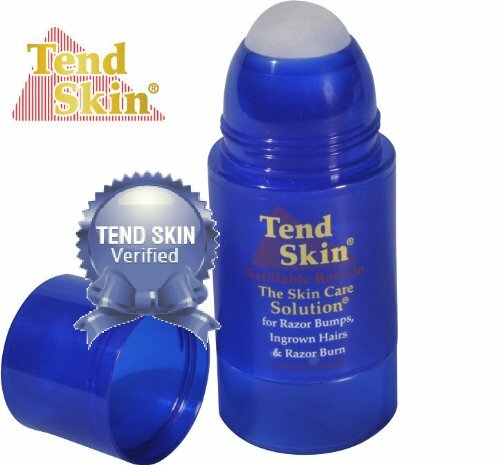 This liquid ingrown hair treatment solution is ideal for men and women and is available in a variety of sizes. There are no limits on use, and no preparations before use. 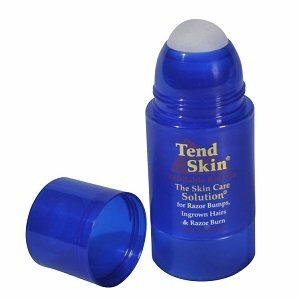 We recommend testing a small area of skin for 5 minutes before using Tend Skin Liquid on extensive areas. Always apply Tend Skin Liquid to DRY SKIN only! 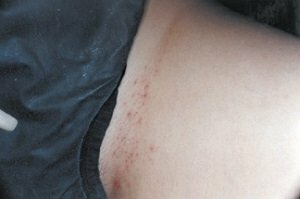 Test a small area before hair removal. Test a small area again after hair removal. 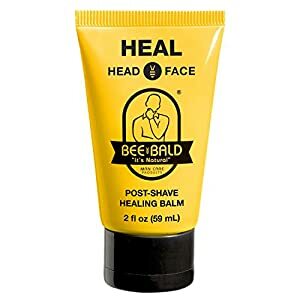 Allow the product to remain on the skin. If there is no reaction in 5 minutes, you should have no problems with the product. Aspirin Allergy: Do not use Tend Skin Liquid if you have a TRUE allergy. Symptoms of true allergy include itching, hives, redness, difficulty breathing. If aspirin ingestion upsets the stomach, this is not a true allergy. 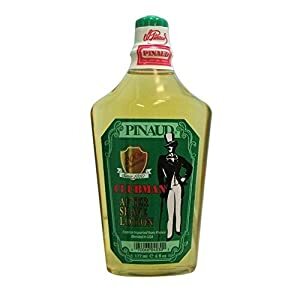 Pregnancy & Breast feeding: Tend Skin Liquid has not been tested on pregnant women, therefore we advise that pregnant women avoid use of this product without first checking with their physician. Keep away from children. Do not ingest Tend Skin Liquid. Do not get Tend Skin Liquid in eyes, severe stinging will occur, flush with lots of running water. Do not tweeze ingrown hair: Tweezing damages the skin and makes ingrown hair problems worse. Tease the hairs out from under the skin and remove them conventionally by shaving, waxing or electrolysis. For roller issue, kindly refer the ‘Simply Roll’ in description. EVERYDAY FRESH: Adidas Deep Energy Revitalizing After-Shave is a great way to start the day. 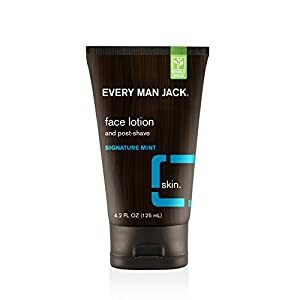 Adidas shave lotion comes in a fragrant but subtle masculine scent for everyday wear that will help you feel fresh and your face feel touchably soft all day. SUBTLE AND MANLY: Adidas Deep Energy After-Shave starts your day with a burst of bergamot and mandarin. Warm cardamom, crisp green apple and lavender bring a subtle, woodsy scent with notes of patchouli, and an intense musk for a solid, masculine smell. 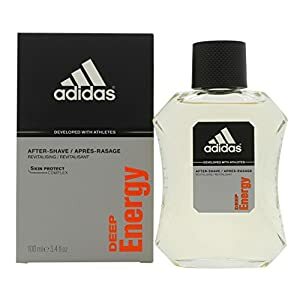 BREAK OUT THE LEATHER JACKET: Adidas Deep Energy After-Shave brings a touch of wildness to your day with its masculine scent. It will have you feeling like a gambler in the wild west, energized and ready to face whatever dynamic travel the day brings. 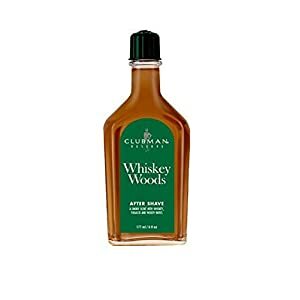 Immediate, calming post-shave relief for all skin types. 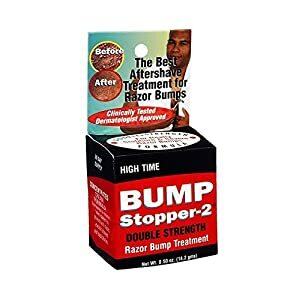 Treats bumps, redness, razor burn & other shaving irritations. Natural compositions and botanicals accelerate relief.